Join us on tailored tours of the past. In each episode we invite our time traveller to pick a year and three scenes to visit from that time. Then for half an hour they take us by the hand into exciting historical moments, eavesdropping on conversations, watching over scenes of drama, joy or despair. In Travels Through Time you get a ringside view to history as never before, with the action described by those who understand it best. Presented by the bestselling historian Peter Moore. 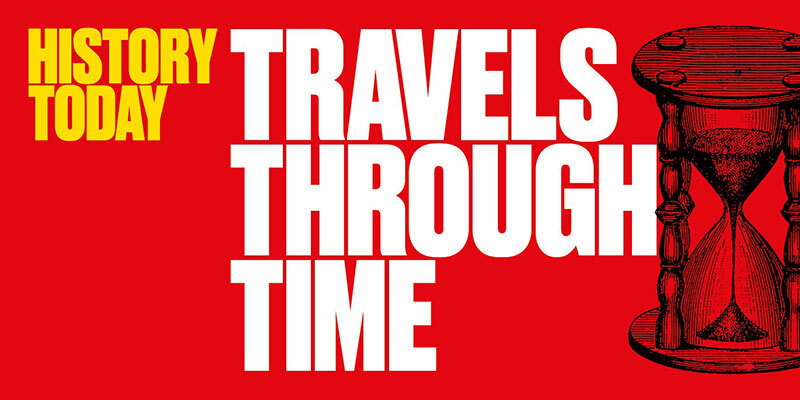 Travels Through Time listeners can get 3 issues of History Today for just £3. Find out more. You can listen to Travels Through Time here on our site, on iTunes, Spotify, Podbean and Acast. There is also an RSS feed. In this episode meet Socrates and Aspasia: the philosopher who changed the way we think about the world and the woman who changed him. In this episode of Travels Through Time historian and author, Diane Atkinson, takes us onto the streets and into the homes of Britain’s most militant suffragettes. In the first episode of our new podcast, Travels Through Time, Michael Palin takes us aboard HMS Erebus.